NOTICE: Our new patented product is undergoing some continued research & development, and is not currently available. As a pickup truck owner, security of cargo is important. A tonneau cover is a logical choice to keep cargo secure and out of the weather while enhancing the look of your vehicle. After purchasing a traditional truck lid, or tonneau cover, several downfalls were noticed, it was impossible to access the front portion of the truck bed without having to crawl up into the truck bed. If you were hauling smaller cargo, and it was not in a container of some sort, it would be strewn around the inside of the truck bed during travel. In lieu of these issues, Truck Lidz™ was born. 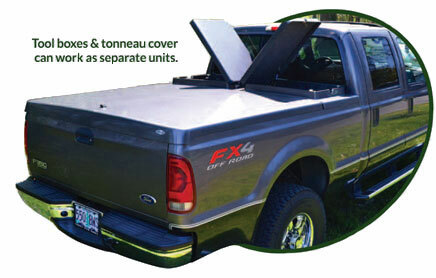 We have a product that now allows you to maintain the security and weather resistance that a conventional tonneau cover provides while providing you versatility. 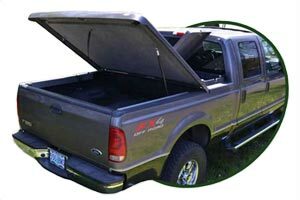 Now with Truck Lidz you can have full bed access by removing the toolbox storage compartment, and through the toolbox lid openings have access to the front portion of your truck bed without requiring you to crawl into your truck bed. You can also choose to use solely the toolbox portion of the cover and remove the tonneau from the back portion of your truck bed, or if you prefer you can use it with all features which allow the toolbox storage compartment, and the tonneau portion to be used together. With Truck Lidz you can now have the most storage options for your truck while enhancing the look of your vehicle. Designed and built in the rugged Pacific Northwest (Oregon), all Truck Lidz covers are manufactured here in the USA. We are located in the beautiful & rugged Pacific Northwest (Oregon), with new dealerships opening all across the United States. For more information on our products, or general questions, simply send the form below. To locate a dealer near you, visit our Locate Dealer page. For information on becoming a dealer, please visit our Become a Dealer page. You can also visit us on Facebook.